The consulate has jurisdiction throughout all Australian states and territories. It's responsibility is to look after Bahamian interests in Australia and encourage friendly relations and trade ties. The Bahamas and Australia have considerable historical, social, sporting and cultural linkages as members of the Commonwealth of Nations. We both share the same head of state (HM Queen Elizabeth II) and have similar political and legal traditions. We work together on bilateral and multilateral levels. One of our most significant bilateral endeavours was the signing of a Tax Information Exchange Agreement in 2010. On the multilateral level, we are working together on important climate change and maritime issues. The Bahamas and Australia are both island nations with porous coastlines. Both nations share mutual concerns about climate change and border protection. The Bahamas and Australia have been enjoying friendly relations since the establishment of diplomatic relations in 1974. The year 2016 marks a special moment in our relations, as for the first time the Bahamas is now being represented in Australia via the establishment of a consulate within the framework of the Vienna Convention on Consular Relations. The Bahamas is well known for being one of the world's most highly rated travel destinations with millions of tourists visiting each year. It has appeared in various movies including Pirates of the Caribbean, Jaws and in four James Bond films (Thunderball, The Spy Who Loved Me, Never Say Never Again and Casino Royale). The Bahamas has some of the worlds most breath-taking natural wonders. Imagine the whitest beaches you will ever see and gardens of corals submerged in the clearest waters, filled to the brim with exotic tropical fish. It is home to notable residents (and property owners) such as Sean Connery, Nicolas Cage, Johnny Depp, Michael Jordan, Bill Gates, David Copperfield, John Travolta, Eddie Murphy, Oprah Winfrey and Mariah Carey, to name a few. As the Honorary Consul of the Bahamas to Australia, my priority is to further strengthen our relationship across all diplomatic, cultural and economic spheres. 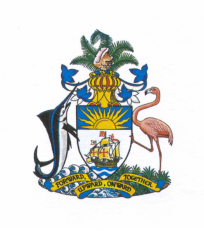 Please feel free to contact my office, for any assistance or information you may need in regards to the Bahamas.